While many believe that active fund managers are able to outperform the market, Nobel Prize winning studies have shown this cannot be done in the long run. However, asset managers often push clients towards high-cost commission based actively managed funds for personal gains rather than passively managed funds which have superior after cost returns for the client. The logical consequence is their replacement by data-driven, automated, and independent robo-advisors providing unbiased recommendations. Despite this, existing robo-advisory firms are unable to scale globally given regulatory issues, and generally do not appeal to institutional investors due to being only full-service providers. Lastly, among private investors there is a tendency to distrust web-based financial services due to lack of understanding of robo-advisories, leading to low asset volumes.Insoro looks to circumvent the regulatory problems and achieving instant global scalability by avoiding taking control of client funds and acting solely as an advisor. By mapping out the specific steps necessary to optimize the client’s portfolio, the clients will have full control and transparency over their investments. Furthermore, by dividing the asset management value chain into modules, insoro is able to appeal to institutional investors who may be looking for execution advice based on their self-determined risk profile. 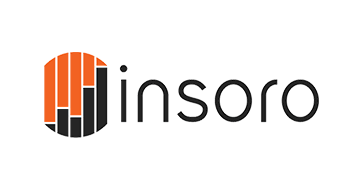 Lastly, insoro implements blockchain technology to increase the data security of clients, as it enables clients to stay anonymous and complete transactions without having to disclose their identity and personal data.